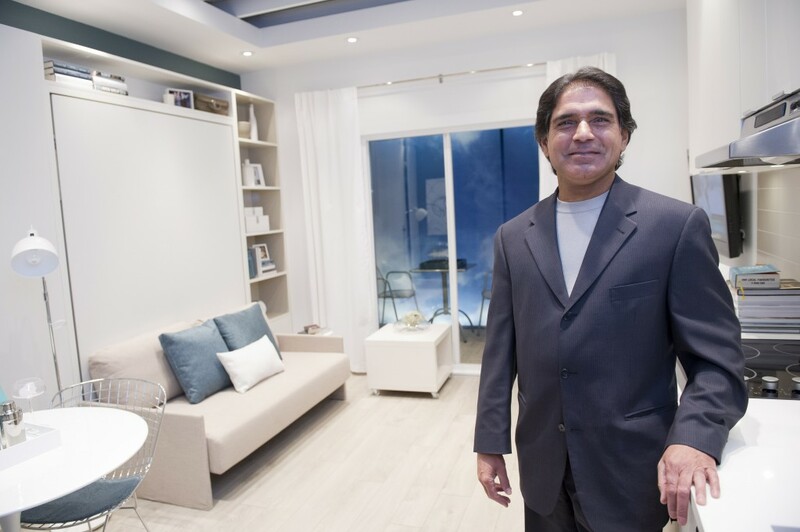 Prior to the sale of Canada’s smallest condominiums—Balance micro-suites—developer, Tien Sher, wanted to raise wide-spread brand awareness and encourage potential buyers to attend the opening of the sales centre. 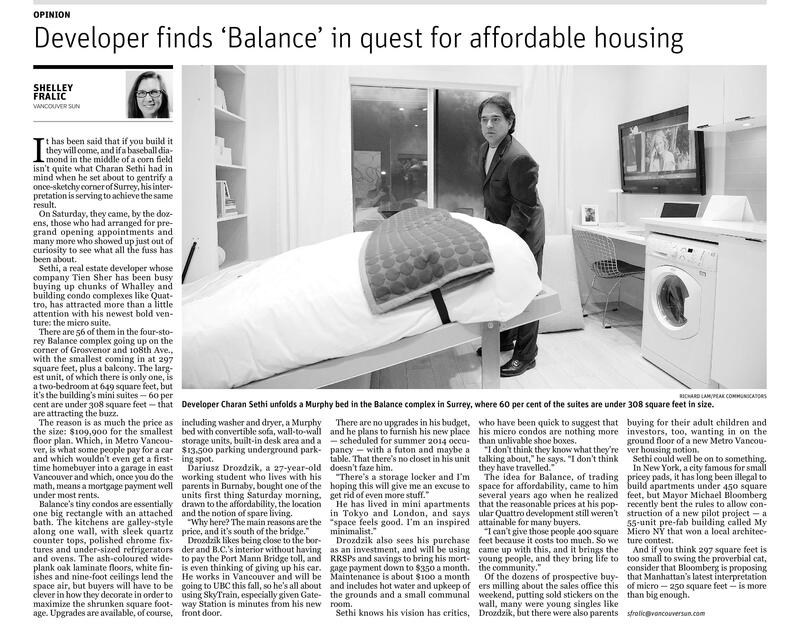 Tien Sher worked closely with the Peak team to boost print, online, TV and radio media attendance at the initial opening of the sales centre, by pitching the Balance micro-suites as “Canada’s smallest ever condos,” measuring 305 square feet or smaller. 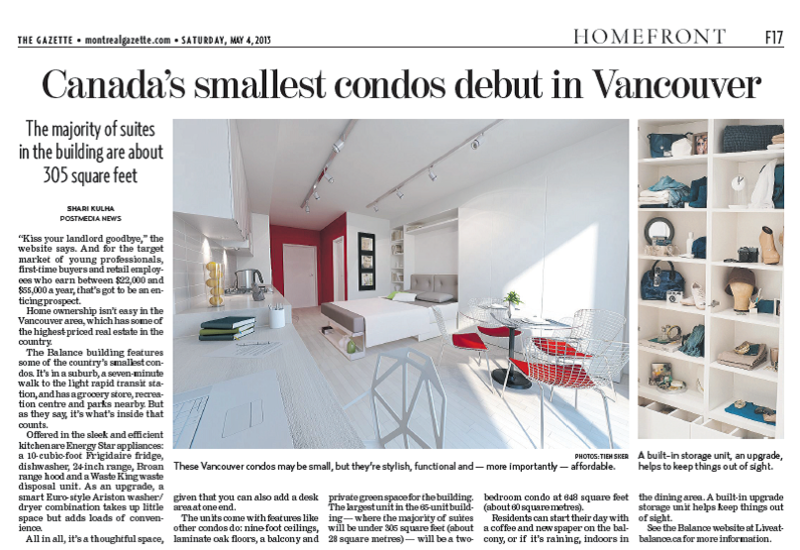 The campaign saw many media outlets attend the sales centre opening, to shoot live footage and interview key spokespeople from Tien Sher. 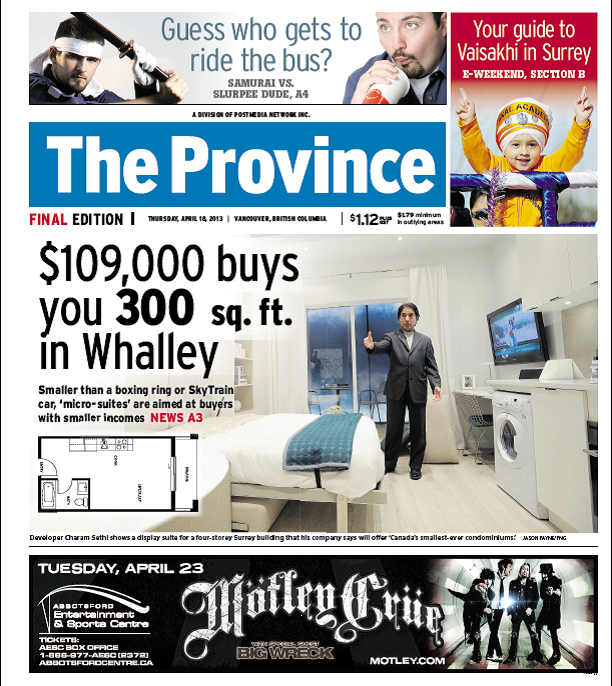 Extensive media coverage was secured throughout metro Vancouver and wider Canada, including print, online, television and radio media hits, with a total circulation rate of over 20,000,000. Key media outlets included; Global BC, The Province, Vancouver Sun, CTV, The National Post, The Ottawa Citizen, Montreal Gazette.